Elasticated construction for optimum fit, performance blend of Synthetic and Merino yarn, no rub toe seams and underfoot padding for comfort and durability. The perfect choice for all types of walking. 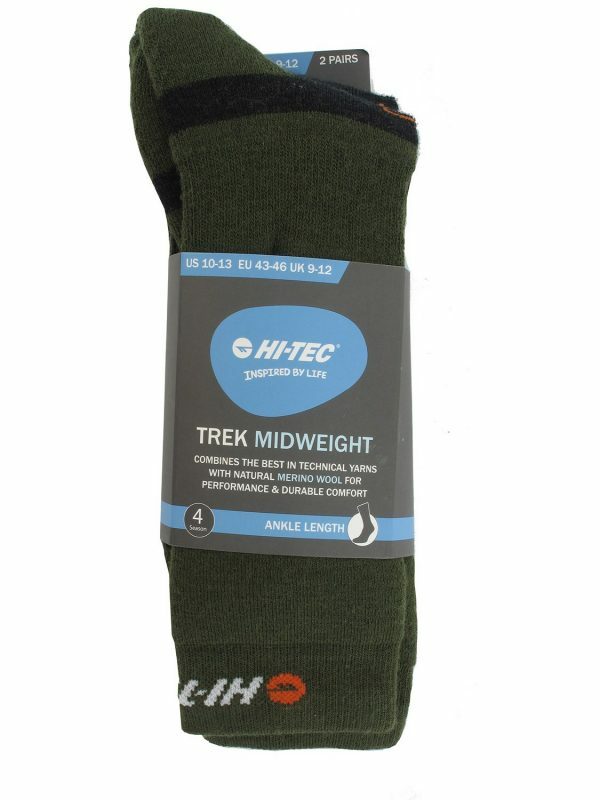 The Trek Midweight men’s walking socks are ideal to wear with your walking and hiking boots. Combining the fast drying performance and wicking properties of synthetic yearns with the natural long lasting warmth and odour protection of Merino wool. 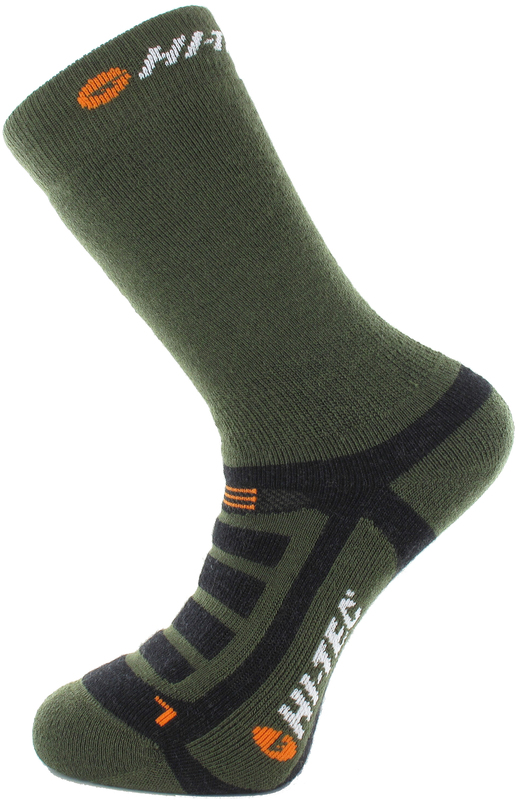 These socks have a no rub toe seam, underfoot padding, venting zones for breathability, and arch support. Designed to give year round comfort with technical hiking boots. Pack of two.